I can’t for the life of me remember why I bought a jar of Orange Marmalade – I’m strictly a raspberry jam and peach preserves gal when it comes to my bagels – so I figured this was as good a use as any. And the end product was pretty tasty. I’ll call this one a win. 1. Put the bananas in the food processor and pulse until smoothly blended. Most likely you’ll need to stir them by hand several times, as the frozen chunks tend to gather and become “stuck” on one side of the bowl. If necessary, add a splash of non-dairy milk or creamer to get things moving! Alternately, you can allow the bananas to defrost on the counter top for 30 to 60 minutes beforehand, so that they’re easier to work with. Before putting them in the food processor, break them up into smaller chunks with a butter knife. Note: Since introducing extra liquids (such as non-dairy milk) into the mix results in a slightly icier finished product, I prefer defrosting to non-dairy milk. If you’re in a hurry, pop the bananas in the microwave for 20 to 45 seconds instead. 2. Add the sweet orange marmalade preserves and orange and lemon zest. Pulse until blended. 3. Taste the batter and add extra orange marmalade and/or orange zest to taste. (I think I used closer to 1/4 cup orange marmalade; and no added sugar, since it’s sweet enough on its own!) If the bananas aren’t sweet enough for your taste (sometimes this happens if you freeze them before they’re sufficiently ripe), add a bit of sugar to taste. Any sugar works fine – white, brown, etc. – but I find that powdered sugar results in a smoother blend. 4. Transfer the ice cream to an airtight container. Enjoy immediately as soft serve, or pop the ice cream in the freezer for an hour+ for a firmer dessert. Store any leftovers in the freezer in an airtight container. 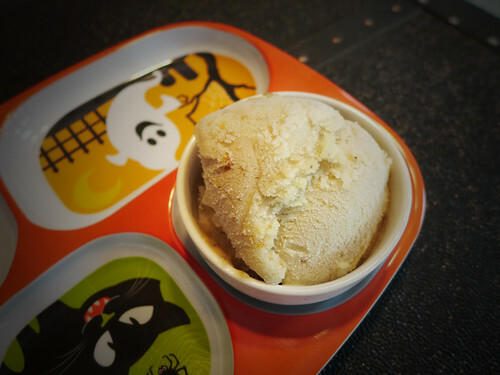 If the frozen banana ice cream proves too hard to scoop, microwave it for ten seconds to help loosen it up (or let the container sit on the counter for ten to thirty minutes prior to eating, depending on room temp). This entry was posted on Friday, October 30th, 2015 at 9:00 am. You can follow any responses to this entry through the RSS 2.0 feed. You can leave a response, or trackback from your own site. 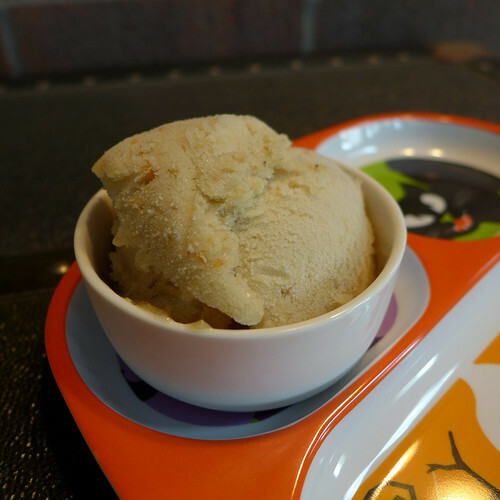 I’m fairly suspicious of the whole bananas as ice cream thing but this actually looks and sounds really delicious and I think it’s one of the few occasions where marmalade makes sense! I love banana ice cream! Granted, it doesn’t hold a candle to the “real” thing, but it’s healthy and tastes good enough and doesn’t require an ice cream machine, and that’s saying something. Banana bread is my all-time fave – bananas are pretty much the perfect base for it.